The Cambridge Companion to Latin American Poetry provides historical context on the evolution of the Latin American poetic tradition from the sixteenth century to the present day. It is organized into three parts. 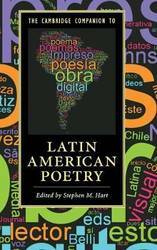 Part I provides a comprehensive, chronological survey of Latin American poetry and includes separate chapters on Colonial poetry, Romanticism/modernism, the avant-garde, conversational poetry, and contemporary poetry. Part II contains six succinct essays on the major figures Sor Juana Ines de la Cruz, Gabriela Mistral, Cesar Vallejo, Pablo Neruda, Carlos Drummond de Andrade, and Octavio Paz. Part III analyses specific and distinctive trends within the poetic canon, including women's, LGBT, Quechua, Afro-Hispanic, Latino/a and New Media poetry. This Companion also contains a guide to further reading as well as an essay on the best English translations of Latin American poetry. It will be a key resource for students and instructors of Latin American literature and poetry. As Andres Bello predicted in 1823, the glory of Simon Bolivar has continued to grow since the Spanish American Revolution. The Revolution is still viewed as an almost mythical quest, and the name of the Libertador has become synonymous with the region's hopes for integration. In this 1992 book, the official history of the Revolution - the heroic history of Bolivar - is replaced by the account of Bello, who was first Bolivar's teacher and later his critic. 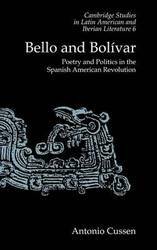 Through a detailed study of the manuscripts of Bello's unfinished poem America, Antonio Cussen reconstructs Bello's version of the Revolution and seeks to understand its political and cultural consequences. The author argues that Bello recorded the disintegration of the Augustan model of power and intimated the inevitable approach of liberalism with a certain longing for the classical culture of his youth. The term Latin America refers to the Portuguese and Spanish-speaking states created in the early 1820s following the wars of independence, states that differed enormously in geographical and demographical scale, ethnic composition and economic resources, yet shared distinct historical and cultural traits. Specially-commissioned essays by leading experts explore the unity and diversity of the region's cultural expressions. These essays analyse history and politics from the nineteenth century to the present day and consider the heritage of pre-Columbian and Colonial Latin America. 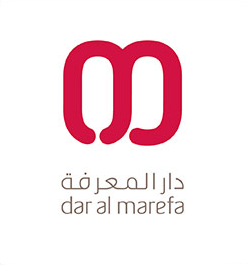 There is a particular focus on narrative as well as on poetry, art and architecture, music, cinema, theatre, and broader issues of popular culture. A final chapter looks at the strong and rapidly expanding influence of latino/a culture in the United States. A chronology and guides to further reading are included, making this volume an invaluable introduction to the rich and varied culture of modern Latin America. Jorge Luis Borges (1899-1986) was one of the great writers of the twentieth century and the most influential author in the Spanish language of modern times. He had a seminal influence on Latin American literature and a lasting impact on literary fiction in many other languages. 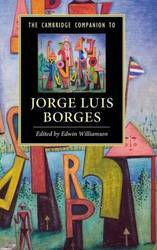 However, Borges has been accessible in English only through a number of anthologies drawn mainly from his work of the 1940s and 1950s. The primary aim of this Companion is to provide a more comprehensive account of Borges's oeuvre and the evolution of his writing. It offers critical assessments by leading scholars of the poetry of his youth and the later poetry and fiction, as well as of the 'canonical' volumes of the middle years. 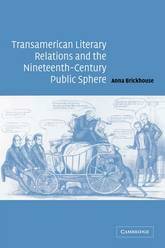 Other chapters focus on key themes and interests, and on his influence in literary theory and translation studies. 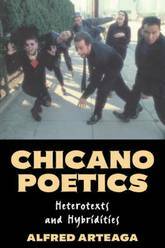 Chicano Poetics: Heterotexts and Hybridities examines the crossing of literary and social forces - be they linguistic, political, poetic - that forms the context for being Chicano. It reveals how a poetry of the cross can influence identity, in readings ranging from the poetry of gender and race by Sor Juana Ines de la Cruz to that of the fragmentary, postmodern subject of Juan Felipe Herrara. How the text of Spanish and Indian miscegenation and the story of Aztlan propagate identity is demonstrated in texts from Bernal Diaz del Castillo to Gloria Anzaldua. The international space and the interlingual language of the borderlands are read as factors of nationalism and postcoloniality in discussion ranging from cowboy lingo to the essential Mexicanism of Octavio Paz. Heterotextuality is the medium in which xicanismo is articulated and comes to be a hybrid subject of textual difference. This is the first comprehensive study in English of one of the most important bodies of verse in European literature. 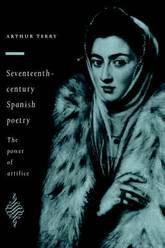 Seventeenth-century Spanish poetry represents the culmination of a rich Renaissance tradition, and Professor Terry sets out to make this accessible not only to Hispanists but to readers of English, French and Italian poetry, with which it had many points of contact. He deals both with the major poets - Gongora, Lope de Vega, Quevedo, Sor Juana Ines de la Cruz - and with the impressively large number of good minor poets, from the Argensolas to Bocangel and Soto de Rojas, whose work is still relatively little read. Drawing upon recent developments in literary criticism as well as paying close attention to individual poems, the book discusses a wide range of issues including the re working of classical and Renaissance models, the importance of rhetoric, and the relationship between author, poem and reader. Miguel Angel Asturias (1899-1974) is one of the notable literary figures in Latin America who in the 1920s contrived both to explore and to define Latin literature within the mainstream of Western history. He managed to be poetic, political and mythological at the same time, and with a degree of synthesis rarely achieved then or since. As is the case with many Latin American writers, his work is inextricably linked with politics, and he lived in exile for many years. He was influenced by Indian mythology, fantasy and Surrealism and was the first Latin American novelist to understand the implications of anthropology and structural linguistics for culture and for fiction. 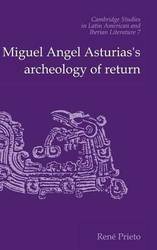 Rene Prieto examines how Miguel Angel Asturias turns to the cultural traditions of the ancient Maya and combines them with the rhetoric of surrealism in order to produce three highly complex and widely misunderstood masterpieces; the Leyendas de Guatemala (1930), Hombres de maiz (1949) and Mulata de tal (1963). Asturias is the first American author to succeed in portraying an indigenous world vision that is blatantly non-Western. 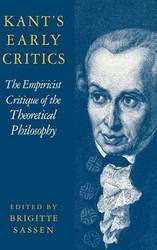 This book, first published in 2000, offers translations of the initial (1781-89) critical reactions to Kant's philosophy. Also included is a selection of writings by Kant's contemporaries who took on the task of defending the critical philosophy against early attacks. The first aim of this collection is to show in detail how Kant was understood and misunderstood by his contemporaries. The second aim is to reveal the sorts of arguments that Kant and his first disciples mounted in their defense of the theoretical philosophy. The third aim of the book is to contribute to an understanding of the development of Kant's critical philosophy after its initial formulation in the Critique of Pure Reason, and in particular why Kant made the changes he did in the second edition of the work in 1787. This collection, which includes a glossary of key terms and biographical sketches of the critics on both sides of the debate, is a major addition to Kant scholarship and should be seen as a companion volume to the Cambridge Edition of the Works of Immanuel Kant. 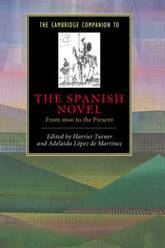 The Cambridge Companion to the Spanish Novel presents the development of the modern Spanish novel from 1600 to the present. Drawing on the combined legacies of Don Quijote and the traditions of the picaresque novel, these essays focus on the question of invention and experiment, on what constitutes the singular features of evolving fictional forms. It examines how the novel articulates the relationships between history and fiction, high and popular culture, art and ideology, and gender and society. Contributors highlight the role played by historical events and cultural contexts in the elaboration of the Spanish novel, which often takes a self-conscious stance toward literary tradition. 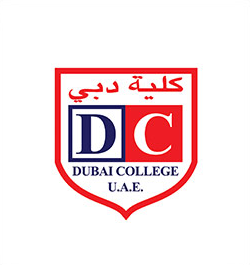 Topics covered include the regional novel, women writers, and film and literature. This companionable survey, which includes a chronology and guide to further reading, conveys a vivid sense of the innovative techniques of the Spanish novel and of the debates surrounding it. 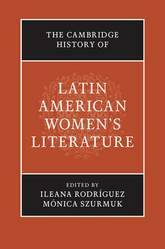 The Cambridge History of Latin American Women's Literature is an essential resource for anyone interested in the development of women's writing in Latin America. Ambitious in scope, it explores women's literature from ancient indigenous cultures to the beginning of the twenty-first century. Organized chronologically and written by a host of leading scholars, this History offers an array of approaches that contribute to current dialogues about translation, literary genres, oral and written cultures, and the complex relationship between literature and the political sphere. Covering subjects from cronistas in Colonial Latin America and nation-building to feminicide and literature of the indigenous elite, this History traces the development of a literary tradition while remaining grounded in contemporary scholarship. The Cambridge History of Latin American Women's Literature will not only engage readers in ongoing debates but also serve as a definitive reference for years to come. This book offers a theory about the origin and evolution of the Latin American narrative, and about the emergence of the modern novel. It argues that the novel developed from the discourse of the law in the Spanish Empire during the sixteenth century, while many of the early historical documents concerning the New World assumed the same forms, furnished by the notarial arts. Thus, both the novel and these first Latin American narratives imitated the language of authority. The book explores how the same process is repeated in two key moments in the history of the Latin American narrative. In the nineteenth century, the model was the discourse of scientific travellers such as von Humboldt and Darwin, while in the twentieth century, the discourse of anthropology - the study of language and myth - has come to shape the narrative. Professor Gonzalez Echevarria's theoretical approach is drawn from a reading of Carpentier's Los pasos perdidos, and the book centres on major figures in the tradition such as Columbus, Garcilaso el Inca, Sarmiento, Gallegos, Borges and Garcia Marquez. 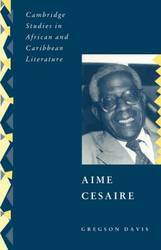 Aime Cesaire is arguably the best-known poet in the French Caribbean. His poetry and drama have established his formidable reputation as the leading francophone poet and elder statesman of the twentieth century. In this study Gregson Davis examines the evolution of Cesaire's poetic career and his involvement with many of the most seminal political and aesthetic movements of the twentieth century. Davis relates Cesaire's extraordinary dual career as writer and elected politician to the recurrent themes in his writings. As one of the most profound critics of colonialism, Cesaire, the acknowledged inventor of the famous term 'negritude', has been a hugely influential figure in shaping the contemporary discourse on the postcolonial predicament. Gregson Davis's account of Cesaire's intellectual growth is grounded in a careful reading of the poetry, prose and drama that illustrates the full range and depth of his literary achievement. The Colombian Nobel Prize winner, Gabriel Garcia Marquez (b. 1927), wrote two of the great novels of the twentieth century, One Hundred Years of Solitude and Love in the Time of Cholera. As novelist, short story writer and journalist, Garcia Marquez has one of literature's most instantly recognizable styles and since the beginning of his career has explored a consistent set of themes, revolving around the relationship between power and love. His novels exemplify the transition between modernist and post-modernist fiction and have made magical realism one of the most significant and influential phenomena in contemporary writing. 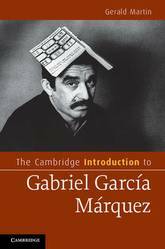 Aimed at students of Latin American and comparative literature, this book provides essential information about Garcia Marquez's life and career, his published work in literature and journalism, and his political engagement. It connects the fiction effectively to the writer's own experience and explains his enduring importance in world literature. This study of Spanish American autobiography from its beginnings in the post-colonial nineteenth century to the present day concentrates mainly on cultural and historical issues. Spanish American autobiographies are fascinating hybrids, often wielding several discourses at once. They aspire to documentary status while unabashedly exalting the self, and dwell on personal experience while purporting to be exercises in historiography, the founding texts of a national archive. Professor Molloy examines a wide range of texts, from Sarmiento's Recuerdos de provincia to Victoria Ocampo's Autobiografia. She analyses their textual strategies, the generic affiliations they claim, their relationship to the European canon and their dialogue with precursor texts, as well as their problematic use of memory and the ideological implications of their repressive tactics. This method enables her to identify perceptions of self and tensions between self and other, thus shedding light on the fluctuating place of the subject within a community. Vision is a recurring obsession in the work of twentieth-century Caribbean writers. 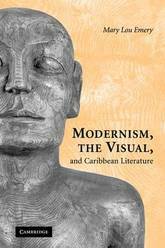 This ambitious study offers a comprehensive analysis of the visual in authors from the Anglophone Caribbean as they intersect with mainstream Modernism. While sound cultures have received more attention in studies of the Caribbean, this is the first to analyse acts of seeing, inner vision, and reflections on visual art. Mary Lou Emery analyses the art, theatre, and literature of the early twentieth century, including works by Edna Manley and Una Marson, then turns to George Lamming, C. L. R. James, Derek Walcott, Wilson Harris, and a younger generation including Jamaica Kincaid and David Dabydeen. She argues that their preoccupation with vision directly addresses philosophies of sensory perception developed at the height of the slave trade and emerges in conditions of diaspora continuing into the present. This study is an original and important contribution to transatlantic and postcolonial studies. 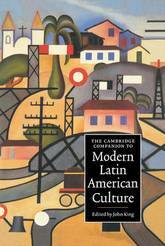 The Cambridge History of Latin American Literature is by far the most comprehensive work of its kind ever written. 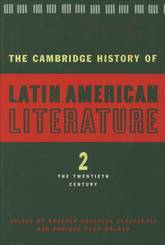 Its three volumes cover the whole sweep of Latin American literature (including Brazilian) from pre-Columbian times to the present, and contain chapters on Latin American writing in the USA. Over forty specialists in North America, Latin America and Britain have contributed to what is not only the most reliable, up-to-date, and convenient reference work on its subject, but also a set of books containing innovative approaches and fresh research that will expand and animate the field for years to come. The History is unique in its thorough coverage of previously neglected areas, in its detailed discussion of countless writers in various genres, and in its inclusion of extensive annotated bibliographies. Volume 1 begins with pre-Columbian traditions and their first contact with European culture, continuing through to the end of the nineteenth century. New World historiography, epic poetry, theatre, the novel, and the essay form are among the areas covered in this comprehensive and authoritative treatment. 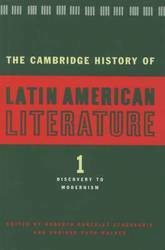 The Cambridge History of Latin American Literature is by far the most comprehensive work of its kind ever written. 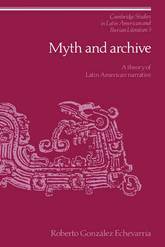 Its three volumes cover the whole sweep of Latin American literature (including Brazilian) from pre-Colombian times to the present, and contain chapters on Latin American writing in the USA. Volume 2 provides coverage of all genres from the end of the nineteenth century up to Garcia Marquez's One Hundred Years of Solitude and beyond to 1990, thus including discussion of Spanish American literature's best-known works. 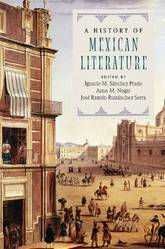 The novel, poetry, autobiographical narrative, the short story, Afro-Hispanic American literature, theatre, and Chicano literature are among the areas treated in this wide-ranging volume. Carlos Alonso's study provides a radical re-examination of the novela de la tierra or regional novel, which plays a central part in the development of Latin American fiction in the first half of the twentieth century. 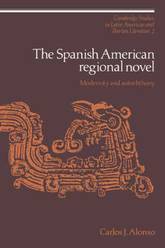 He identifies the regional novel as a specific literary manifestation of the persistent meditation on cultural authochthony that has characterized Latin American cultural production from its beginnings, and which in his view springs from Latin America's problematic relationship with Modernity. He proposes a view of the autochthonous as a discourse rather than a referent. Professor Alonso presents his argument through challenging readings of three works that are universally acknowledged as archetypes of the autochthonous modality: Rivera's La voragine, Gallegos's Dona Barbara and Guiraldes's Don Segundo Sombra. 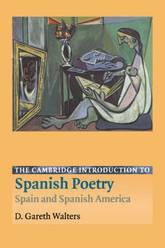 The Cambridge Introduction to Spanish Poetry comprises an extended survey of poetry written in Spanish from the Middle Ages to the present day, including both Iberian and Latin American writing. This volume offers a non-chronological approach to the subject in order to highlight the continuity and persistence of genres and forms (epic, ballad, sonnet) and of themes and motifs (love, religious and moral poetry, satirical and pure poetry). 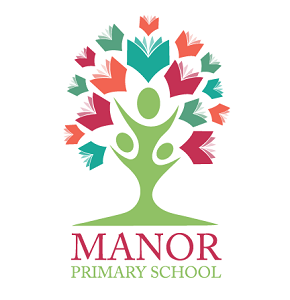 It also supplies a thorough examination of the various interactions between author, text and reader. Containing abundant quotation, it gives a refreshing introduction to an impressive and varied body of poetry from two continents, and is an accessible and wide-ranging reference-work, designed specifically for use on undergraduate and taught graduate courses. 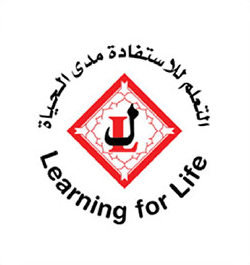 The most comprehensive work of its kind available, it will be an invaluable resource for students and teachers alike. 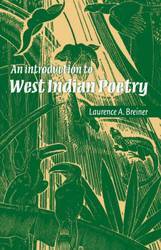 This introduction to West Indian poetry is written for readers making their first approach to poetry in English written in the Caribbean. It offers a comprehensive literary history from the 1920s to the 1980s, with particular attention to the relationship of West Indian poetry to European, African and American literature. 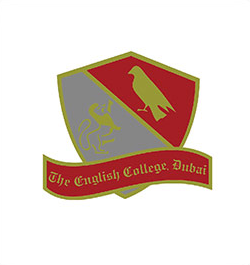 Close readings of individual poems give detailed analysis of social and cultural issues at work in the writing. Laurence Breiner's exposition speaks powerfully about the defining forces in Caribbean culture from colonialism to resistance and decolonization. 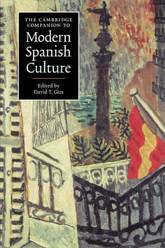 This book offers a comprehensive account of modern Spanish culture, tracing its dramatic and often unexpected development from its beginnings after the Revolution of 1868 to the present day. Specially-commissioned essays by leading experts provide analyses of the historical and political background of modern Spain, the culture of the major autonomous regions (notably Castile, Catalonia, and the Basque Country), and the country's literature: narrative, poetry, theatre and the essay. Spain's recent development is divided into three main phases: from 1868 to the outbreak of the Spanish Civil War; the period of the dictatorship of Francisco Franco; and the post-Franco arrival of democracy. The concept of 'Spanish culture' is investigated, and there are studies of Spanish painting and sculpture, architecture, cinema, dance, music, and the modern media. A chronology and guides to further reading are provided, making the volume an invaluable introduction to the politics, literature and culture of modern Spain. The Comentarios reales de los incas, a classic of Spanish Renaissance prose narrative, was written by Garcilaso Inca de la Vega, the son of an Inca princess and a Spanish conquistador. It is full of ideological tensions and apparent contradictions as Garcilaso attempts to reconcile a pagan new-world culture with the fervent Christian evangelism of the period of the discovery and conquest of America. This study of the Comentarios is original both in adopting the perspective of discourse analysis and in its interdisciplinary approach. 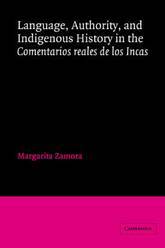 Margarita Zamora examines the rhetorical complexities of the Comentarios, and shows how, in order to present Inca civilization to Europeans, Garcilaso turned to disciplines other than traditional historiography, and in particular to the linguistic strategies of humanist philology and hermeneutics. Professor Zamora reveals how Garcilaso's views of the Incas were shaped by the dual nature of his background, by his commitment to humanism and Christianity, by the expectations he had of his readers, and by the discursive practices of his time. This wide-ranging comparative study argues for a fundamental reassessment of the literary history of the nineteenth-century United States within the transamerican and multilingual contexts that shaped it. Drawing on an array of texts in English, French and Spanish by both canonical and neglected writers and activists, Anna Brickhouse investigates interactions between US, Latin American and Caribbean literatures. Her many examples and case studies include the Mexican genealogies of Nathaniel Hawthorne, the rewriting of Uncle Tom's Cabin by a Haitian dramatist, and a French Caribbean translation of the poetry of Phillis Wheatley. Brickhouse uncovers lines of literary influence and descent linking Philadelphia and Havana, Port-au-Prince and Boston, Paris and New Orleans. She argues for a new understanding of this most formative period of literary production in the United States as a 'transamerican renaissance', a rich era of literary border-crossing and transcontinental cultural exchange. A History of Mexican Literature chronicles a story more than five hundred years in the making, looking at the development of literary culture in Mexico from its indigenous beginnings to the twenty-first century. Featuring a comprehensive introduction that charts the development of a complex canon, this History includes extensive essays that illuminate the cultural and political intricacies of Mexican literature. Organized thematically, these essays survey the multilayered verse and fiction of such diverse writers as Sor Juana Ines de la Cruz, Mariano Azuela, Xavier Villaurrutia, and Octavio Paz. 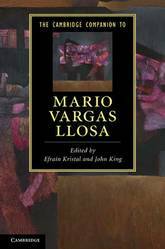 Written by a host of leading scholars, this History also devotes special attention to the lasting significance of colonialism and multiculturalism in Mexican literature. 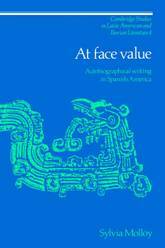 This book is of pivotal importance to the development of Mexican writing and will serve as an invaluable reference for specialists and students alike. The sense of the radical newness of Spanish America found in literary works from the chronicles of the conquest to the work of the criollistas has more recently given way to a stronger recognition of the transatlantic roots of much Spanish-American literature. This indebtedness does not imply subservience; rather, the New World's cultural and literary autonomy lies in the distinctive ways in which it assimilated its cultural inheritance. Professor Perez Firmat explores this process of assimilation or transculturation in the case of Cuba, and proposes a new understanding of the issue of Cuban national identity through revisionary readings of both literary and non-literary works by Juan Marinello, Fernando Ortiz, Nicolds Guillen, Alejo Carpentier and others, dating from the early decades of the twentieth century, a time of intense self-reflection in the nation's history. 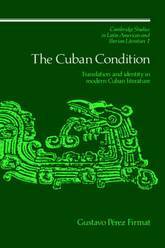 Using a critical vocabulary derived from these works, he argues that Cuban identity is translational rather than foundational and that cubania emerges from a nuanced, self-conscious recasting of foreign models. 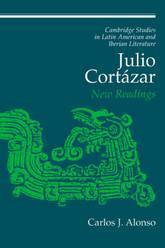 The articles gathered within this 1998 book address the Argentine writer Julio Cortazar's oeuvre from a variety of critical positions and focus on several of his multifarious writings: poems, short stories, novels, and miscellanea. The intention has been to provide the space for a reappraisal of Cortazar that will question received notions and assumptions regarding his works, and hence pave the way for an overarching revision of his production and his place in Latin American literature. Although significantly different in their theoretical approach, style, and their point of insertion in Cortazar's oeuvre, the articles provide a radical reassessment of one of the most significant Latin American writers. In recent decades, the international recognition of Nobel Laureate Gabriel Garcia Marquez has placed Colombian writing on the global literary map. 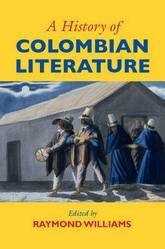 A History of Colombian Literature explores the genealogy of Colombian poetry and prose from the colonial period to the present day. Beginning with a comprehensive introduction that charts the development of a national literary tradition, this History includes extensive essays that illuminate the cultural and political intricacies of Colombian literature. Organized thematically, these essays survey the multilayered verse and fiction of such diverse writers as Jose Eustacio Rivera, Tomas Carrasquilla, Alvaro Mutis, and Dario Jaramillo Agudelo. Written by a host of leading scholars, this History also devotes special attention to the lasting significance of colonialism and multiculturalism in Colombian literature. This book is of pivotal importance to the development of Colombian writing and will serve as an invaluable reference for specialists and students alike. 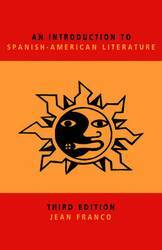 This is a revised, updated edition of Jean Franco's classic Introduction to Spanish-American Literature, first published in 1969 and much recommended ever since.  Its coverage ranges from colonial times to the present day, the later chapters having been radically rewritten to take account of the most recent developments in both literature and criticism. The book sets the literary works discussed in their historical, political and economic context, and explores the impact on Latin-American literature of European cultural traditions. 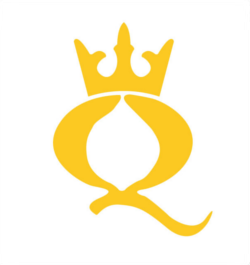 English translations are provided for Spanish quotations in the text, and the extensively updated reading lists of primary and secondary material refer not only to Spanish texts but also, where available, to editions in English. The 'Global South' has largely supplanted the 'Third World' in discussions of development studies, postcolonial studies, world literature and comparative literature respectively. The concept registers a new set of relationships between nations of the once colonized world as their connections to nations of the North diminish in significance. Such relationships register particularly clearly in contemporary cultural theory and literary production. The Global South and Literature explores the historical, cultural and literary applications of the term for twenty-first-century flows of transnational cultural influence, tracing their manifestations across the Global Southern traditions of Africa, Asia and Latin America. This collection of interdisciplinary contributions examines the origins, development and applications of this emergent term, employed at the nexus of the critical social sciences and developments in literary humanities and cultural studies. This book will be a key resource for students, graduates and researchers working in the field of postcolonial studies and world literature.